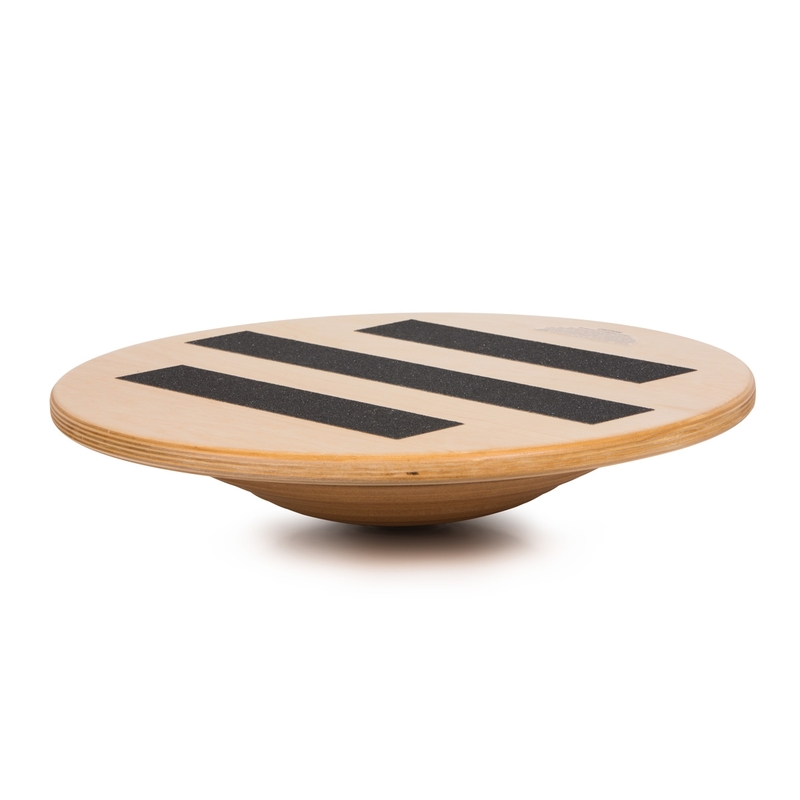 The second phase of movement retraining, the Wooden Wobble board introduces multi-planar movement for an increased sensory motor challenge. Progressive sensorimotor challenge is introduced with the Wooden Wobble. 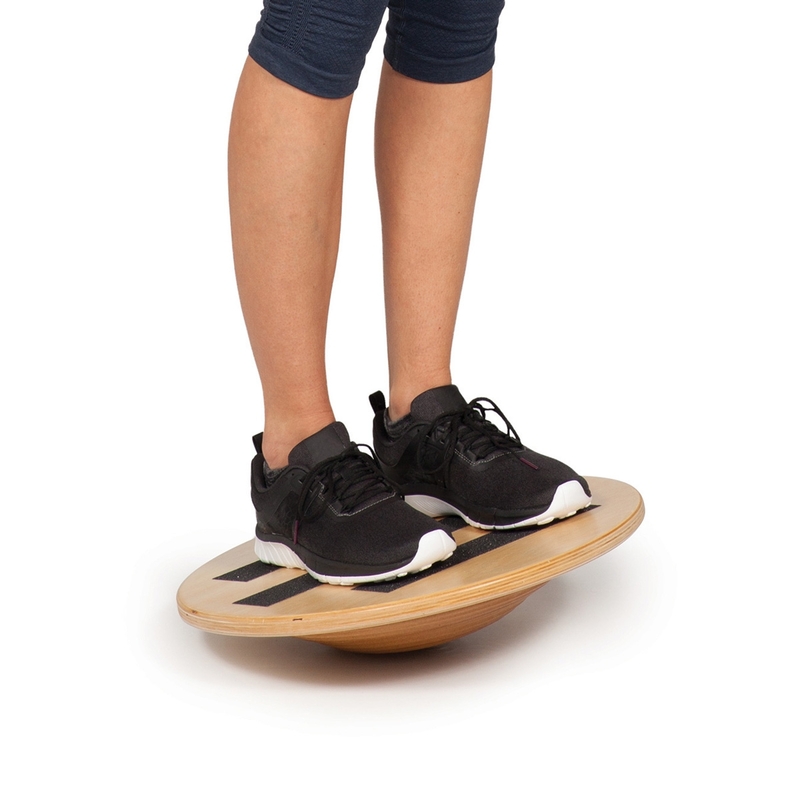 This balance board requires greater control and increases neuromuscular challenge. Useful for increasing lower quarter strength, flexibility and coordination. 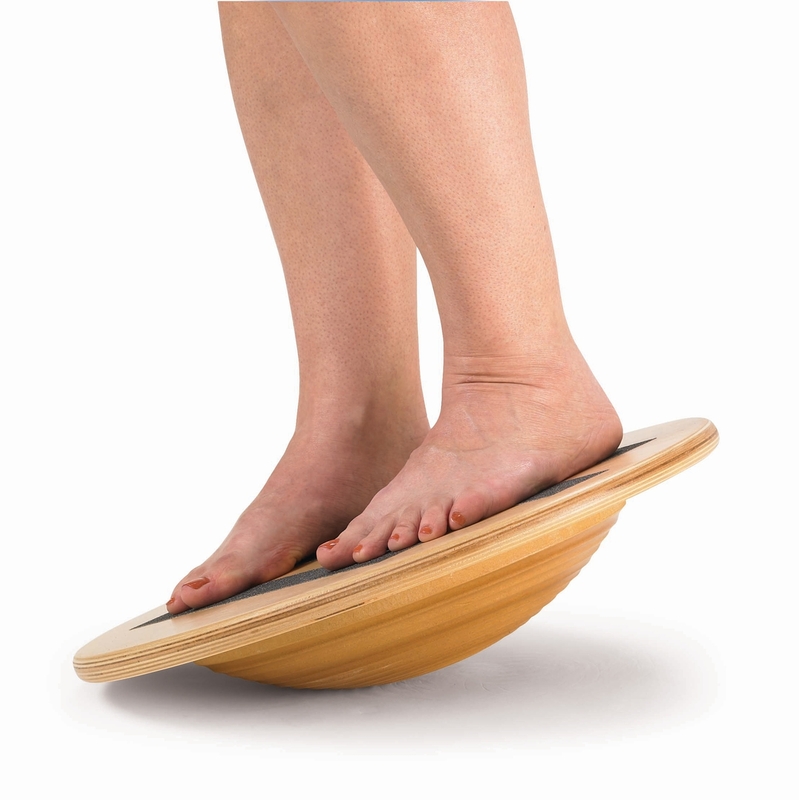 Durable wooden platform with non-slip strips and wooden hemisphere base. Measures 16.5" dia. x 3.5" H.
Maximum 25 degree angle. Supports up to 400 pounds.